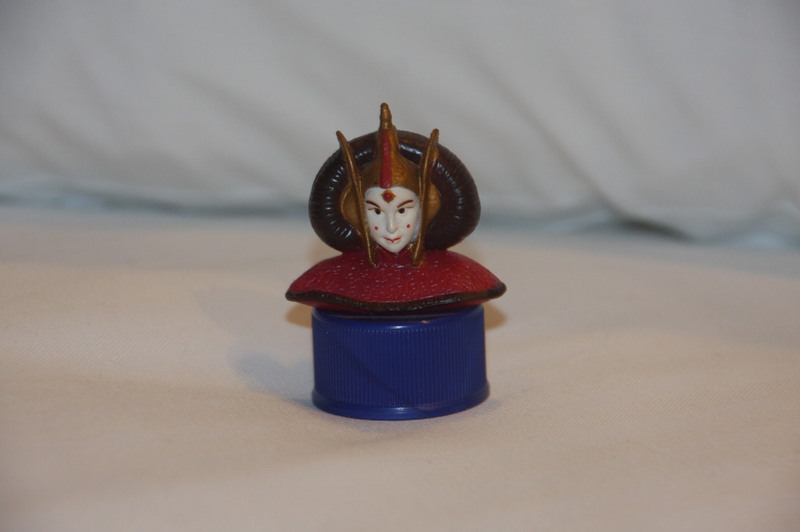 To promote the release of Star Wars: The Phantom Menace in Japan, Pepsi released a line of over 50 bottle caps. The caps came blind-packaged. 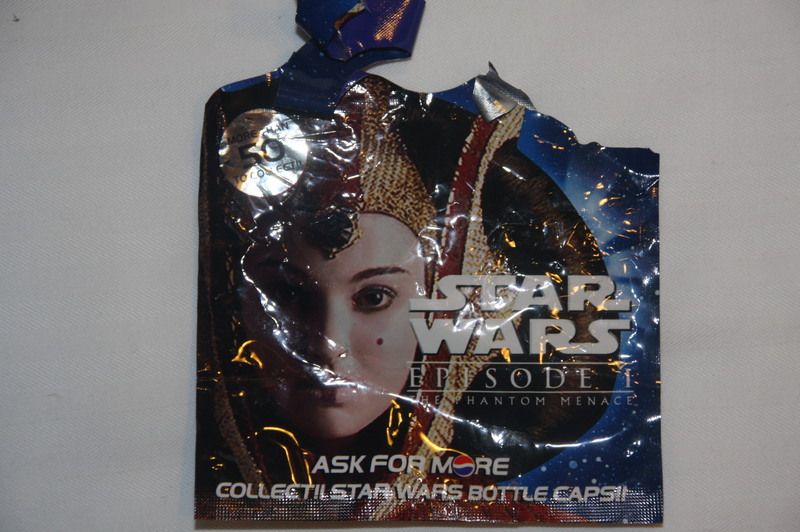 One of the packages featured the same portrait of Queen Amidala as on the bottle cap. I purchased the bottle cap at Carasells Collectibles yesterday.